Once you make the decision to build a new home, the next step is choosing the team of professionals to handle the project. There are many decisions to make such as whether to hire an architect or an interior designer. There seems to be a lot of confusion surrounding these two professions due to the similarities between them. For example, both deal with space planning and creating fully functional structures that are unique and beautiful. Both professionals must also be familiar with and updated on all building codes and regulations set forth by the state. While there are a few similarities between the two, they are very different. The best way to determine which professional to use is by understanding the difference between the two. By focusing on the difference between an architect and interior designer, you’ll be able to determine which professional to use at different stages of your project. Architects are responsible for making the entire structure sturdy and safe for all occupants. They need to know every detail there is about building a home from laying the foundation to constructing the exterior. For this reason, architects are the ones to get the project underway when building new structures. Designers can make rooms larger and add on rooms to an existing structure to create more space, provided it does not interfere with the home’s main structure. They focus on using the space available as efficiently as possible and remodeling the home when extra space is needed but they don’t build from the ground up. Architects determine where the electrical wiring and plumbing should be located and they help decide what materials are used to create the interior architecture of the home. Interior designers in Miami focus on selecting light fixtures, appliances, flooring, wall coverings, window treatments and furnishings to turn the house into a home by giving it style and personality. When remodeling or renovating a home, an interior designer normally has the skills to handle the project. However, when building a structure from ground up, you’ll probably need to hire both professionals. Since some of the skills and responsibilities overlap, it’s vital that each professional know their responsibilities in advance. Otherwise, it can be chaotic. You need to go over the details of the project with both professionals and discuss what you expect from each. This will avoid confusion and make it easier for them to work together as a team to accomplish the goals you want to achieve, instead of against each other. Knowing their responsibilities will allow them to do their job in a way that complements each other. Here at J. 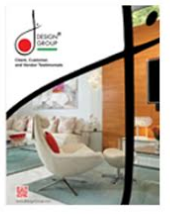 Design Group, we have more than 26 years of experience working with residential property. During this time, we have worked hand in hand with many other professionals, including contractors and suppliers. We know how to get the job done in a professional but timely fashion while making sure the project turns out looking exactly how you imagined it.